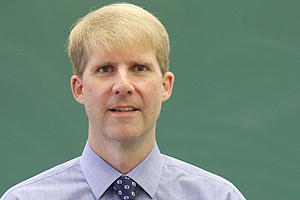 John Dinan’s research focuses on state constitutionalism, federalism, and American political development. He is the author of several books, including State Constitutional Politics: Governing by Amendment in the American States and The American State Constitutional Tradition, and he writes an annual entry on state constitutional developments for The Book of the States. He is the editor of Publius: The Journal of Federalism and is a past chair of the Federalism and Intergovernmental Relations Section of the American Political Science Association. He received his PhD from the University of Virginia. Several questions guide our study of American government and politics in this course: How well is a Constitution written in the late 18th century functioning in the early 21st century? How have patterns of political participation evolved, and to what extent do recent elections reflect a continuation of or departure from these patterns? How well is the U.S. electoral system performing, and what would be the consequences of adopting various proposed reforms? What tools and approaches are available to presidents for securing passage of their policy initiatives, and which of these tools and approaches have been most effective? To what extent is the U.S. policy-making process producing legislation in the public interest? What role has the Supreme Court played in interpreting various constitutional provisions, and what is the proper judicial role in resolving controversial questions concerning the definition and extent of civil rights and liberties? As the course title indicates, we are interested in examining U.S. political parties, voters, and elections. Regarding parties: we are concerned with tracing their evolving role in the American political system and considering the main functions they perform and the groups and institutions that are increasingly performing these functions alongside of them or in their place. Regarding voter participation and behavior: we are interested in determining which factors are associated with high levels of voter turnout and explaining voter decision-making. Regarding elections: we seek to explain the outcomes of presidential and congressional elections, both in the nominating phase and general election. Of the various American political institutions, Congress has traditionally been the target of the most criticism. One of our goals in this course will be to analyze Congress with any eye toward assessing the performance of the institution and its members. We are concerned with determining how well members represent their constituents, whether various institutional rules and arrangements promote adequate deliberation, and to what extent the policy process produces legislation consonant with the public interest. Political scientists are drawn to study state politics for various reasons. First, state political institutions differ from federal institutions in important respects, and political scientists are led in each instance to assess and compare the operation of the distinctive state approaches and the federal approach. Political scientists also seek to draw lessons from the variety of approaches within the state political tradition. The diversity of state approaches presents opportunities not only for explanation (why do the states differ? ), but also evaluation (what are the advantages and disadvantages of the various state approaches?). Finally, states bear significant responsibility for various aspects of domest policy; but the federal government has assumed greater responsibilities and imposed increasing restrictions on state policy-making. A comprehensive study of U.S. policy-making requires that attention be paid to the important role played by state governments as well as the complex and evolving relationship between state and federal governments.